Glitter is the ultimate supervillain of the craft and makeup world: Charming, but insidious. Use it once, and you'll be vacuuming it out of the carpet and picking it from under your nails until the day you die. On top of it all, scientists are saying it's dangerous for the environment. This impending ban prompted some scientists to tell The Independent that glitters -- like loose glitter and those found in makeup and body products -- should be considered a similar hazard. "I was quite concerned when somebody bought my daughters some shower gel that had glitter particles in it," said Richard Thompson, a professor at Plymouth University who led a study examining how plastics affected marine environments. "That stuff is going to escape down the plughole and potentially enter the environment," he said. Microplastics can pollute marine environments, leech chemicals into the water and pose harm to marine life if they are ingested. 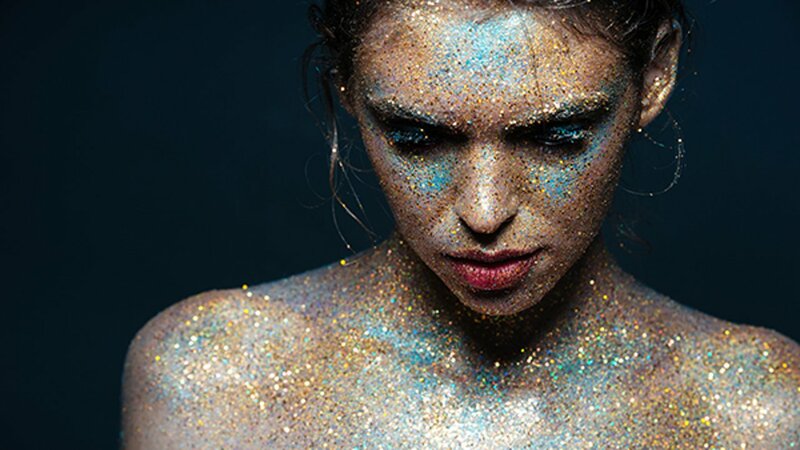 Dr. Trisia Farrelly, an environmental anthropologist at Massey University in New Zealand, told The Independent "all glitter should be banned." Luckily, there is hope for those of us who still choose to punish ourselves for a glittery fix: Some companies make environmentally friendly alternatives that are biodegradable and don't clog up waterways. For those in the UK, the coming microbead ban will also tackle some shiny concerns: The Department for Environment, Food and Rural Affairs told The Independent the ban will include glitter in "rinse-off" cosmetics.